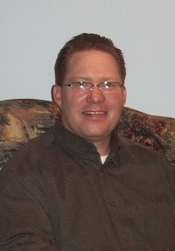 Reverend Christopher Myers began his ministry at Unionville Baptist Church in October 2005 in the role of Senior Pastor. Prior to coming to UBC, he served as Associate Pastor at Faith Baptist Church in Oakville, Ontario, where the majority of his responsibilities surrounded youth ministry. He received his education from The University of Western Ontario and Heritage Theological Seminary, although he would consider himself to be primarily self-taught through the writings of great scholars of the past and present. Pastor Chris is an exegetical, expository preacher of the Word of God, developing his theology of preaching from Nehemiah 8. At Unionville Baptist deep truths from the Bible are expounded along with practical applications for everyday living. Challenges and encouragement are given to live out God’s will daily and to become instruments of God’s grace to this world. His life and ministry focus is derived from the words of the great scholar Johann Albrecht Bengel: "Apply yourself wholly to the text; apply the text wholly to yourself." Pastor Chris is blessed with a wonderful wife (Sara) and four beautiful children (Natalie, Emilie, Felicity, and Zachary). 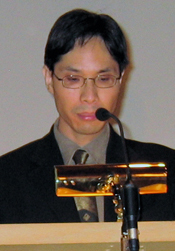 Pastor Richard Tai has attended Unionville Baptist Church as a member since childhood. His personal life is deeply intertwined with life at UBC, where he is formally involved with pastoral and worship ministries, but his life and work touch so much more in the life of the church. Pastor Richard studied architectural engineering at Ryerson University, but his heart for God led him on a different life path. Pastor Richard studied for his Master of Divinty at Tyndale Seminary and became a Lay Pastor at Unionville Baptist Church. Pastor Richard works full-time at the Toronto head office of the Canadian Bible Society, which exists to promote and encourage the translation, publication, distribution and use of the Scriptures throughout Canada and Bermuda.